The MENA Physical Medicine and Rehabilitation Congress brings together regional leaders in physical rehabilitation to discuss the most pressing rehabilitation conditions in the region. 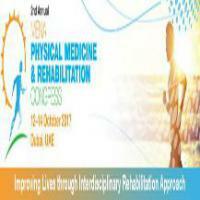 The MENA Physical Medicine and Rehabilitation Congress, taking place on 12-14 October 2017 in Dubai, UAE, brings together regional leader and medical experts in the field of physical medicine and rehabilitation to discuss the most pressing rehabilitation conditions in the region. The congress aims to cover various fields related to physical medicine and rehabilitation including musculo-skeletal medicine, neuro muscular medicine, stroke rehabilitation, spinal cord injuries, paediatric rehabilitation, chronic pain rehabilitation and more through the dissemination of latest knowledge by leading experts in the field. Do not pass up the opportunity to foster innovation and knowledge in the field of physical medicine and rehabilitation.